Rafe Mullarkey’s limited-edition furniture constructed from solid hardwood explores the decorative possibilities of domestic objects. Sculptural elements of contrasting surfaces and planes are used to amplify the sense of volume and structure, while simultaneously celebrating the inherent qualities of the physical material. 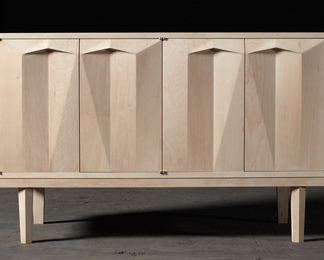 In 2012, Rafe joined forces with fellow furniture maker Laszlo Beckett to create Larkbeck, a studio collaboration. 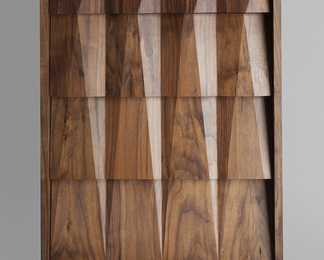 Larkbeck’s design ethic stems from the understanding and respect of materials and the skills needed to transform them. Methods synonymous with the history of fine furniture sit equally with computed aided design. Rafe Mullarkey is based in London, England.